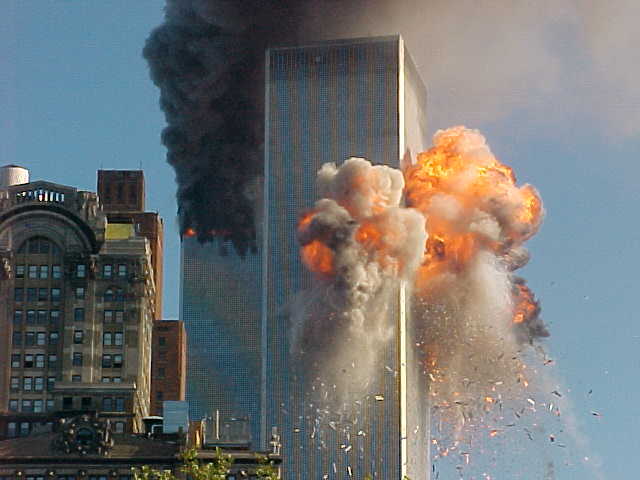 Buzz Kill Ramblings of Tim Louie: 9/11 THE WAY I REMEMBER IT....AND WILL NEVER FORGET. 9/11 THE WAY I REMEMBER IT....AND WILL NEVER FORGET. In my 6 years of writing this blog, I try to be entertaining and for the most part, funny. Today is not one of those days. 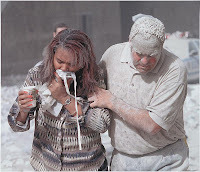 In the years prior, I realized that I never shared my 9/11 experience with you in this blog because quite frankly, who wants to re-live that day of horror for New York City and this great nation? Today, I want to share with you, how my day went 16 years ago, which by the way, I cannot believe it's been 16 years already! Anyway, I remember driving into Z100 in Jersey City, NJ the morning of 9/11/01. The sun was just rising and was looking like it was going to be a gorgeous day out. I remember it like it was yesterday. The air was crisp. Not too hot and not too cold. It was perfect! For some reason, I remembered driving down the New Jersey Turnpike from my Bergen County home and just looking at that beautiful skyline. Little did I know, it would be the last time that I would be enjoying that skyline with the twin towers standing tall. Our morning was your typical morning of comedic banter among the morning show, which consisted of host Elvis Duran, Christine Nagy, John Bell, Danielle Monaro, Skeery Jones, David Brody, Greg T., Scotty B., a guy named Stick, myself, and our morning show consultant Dennis Clark. I happened to be screening phone calls for the show that day and right before 9 a.m., I received a strange one from a caller saying, "A plane just crashed into the World Trade Center. I'm not sure if it was one of those little Cessna planes, but the North Tower is on fire." I swear to God, those were his exact words. It's weird how some things just stay with you. Now, mind you, the only thing separating where our studios were in Jersey City and the World Trade Center was the Hudson River. We were up on the 36th floor and were literally that close. Also, at the time, the sun was still making its rise, so we brought the blinds behind us down so that we can see our computer screens. So, after I received this call, I turned my chair around and raised the blinds to see one of the most horrific sites I have ever seen in my life. 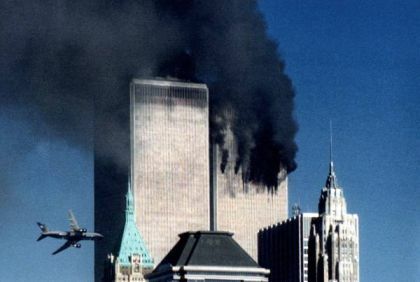 It was clear that this plane that crashed into the North Tower was not a little Cessna because a little Cessna would not have caused damage like that to these strong towers. I quickly ran into the studio and told Elvis, who was in a commercial break, about the call and what I saw. The whole show literally ran out to take a look outside our window. Elvis made Christine and I stay in the studio to break the news. He interrupted commercials and asked me to go on the air to explain what had happened and what I saw, while Christine explained what she was reading on the news sources. As I ran back to the call screen area, the hotline rang and it was MJ, one of our promotions girls, and she explained to us that it was a commercial airliner that crashed into the tower. Elvis put her on the air and let her explain. People from different departments in our office showed up to watch from the window, when Stick noticed something flying really low over Staten Island, which was to our right. We literally watched this plane quickly pick up speed and as if it happened in slow motion, it slammed into the South Tower with such an impact, we felt our building shake. We all could not believe what we just saw. A plane used as a weapon as it slammed into the World Trade Center, I just remember seeing a fireball and paper shooting out the other end. I was baffled and confused and it all became clear when I heard Danielle Monaro crying, "Oh my God! We're being attacked by terrorists!" We were forced to evacuate the building and at the time, all I could think about was trying to get home to my family because if there were any more attacks, I wanted to be with them. Elvis and John Bell stayed up in the control booth like true radio men to stay on the air. To this day, I truly commend them for their bravery and loyalty to our listeners. Elvis told us all to go home and be with our loved ones. He and John ended up staying on the air for the majority of the day taking phone calls from listeners as Dennis Clark helped screen the phone calls. Me? I high-tailed it out of there and at the time there was no cell signal. I could not call home. Driving through the streets of Jersey City that day was an absolute mess! People walking the streets like zombies with a "what the hell just happened" look on their face. I remember sitting in traffic and looking in my side view mirror only to see the South Tower collapse. I literally almost threw up when I saw this. I couldn't believe it. I asked the guy in the car next to me, "Did that tower just go down?" He said it did and we sat there stunned! 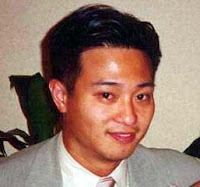 It took me about two hours but I finally got home only to find out that my cousin Michele's fiancée, Arnold Lim, was missing. Arnold and Michele had gotten engaged a month before, and the eerie thing is that one of the last pictures I remember of them, was at their engagement party in Edgewater, NJ and the Towers stood behind them. Anyway, Arn used to work at Lehman Brothers in Jersey City a few floors below me at Z100. We used to meet for lunch all the time. It was right around the time of their engagement that Arn took a job at the Trade Center with a company called Fiduciary Trust. When I found out that no one was able to get in touch, I began calling him every hour only to get his voicemail. The last person to speak to him was my Aunt Barbara, who called him to tell him the towers were on fire. He told her that he knew and he was actually watching it, but the building told everyone on the PA to stay where they were and that they were safe. My aunt told him that she didn't care and to get the hell out of the building. He told her he was leaving and that was the last we heard from him. My guess is that he was making his way down the stairwell when that second plane hit, which is the one I saw. They never found his body. And now here stands what looks like the big middle finger to the terrorists....The Freedom Tower!